Holiday Hair “Short term Perm” water set curl style. A no chemicals process that lasts four to five days or until you wash it out. 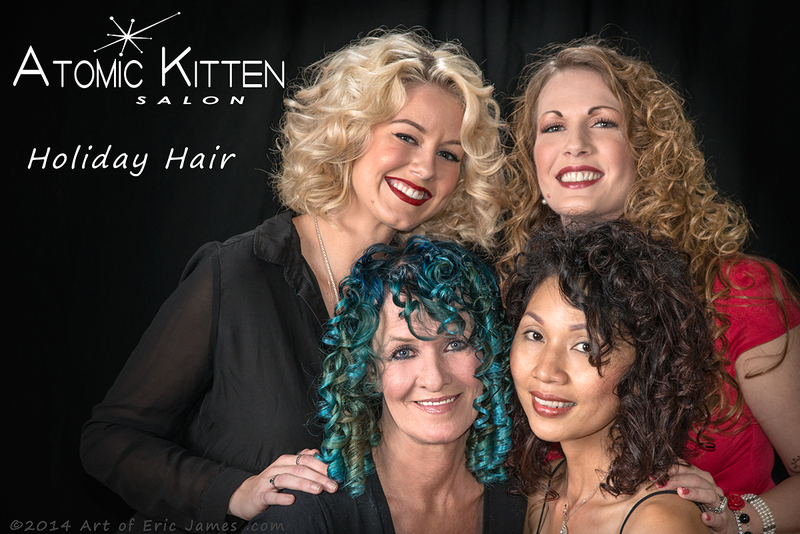 Atomic Kitten Salon “Holiday Hair” a Water set “Short Term Perm” process by stylist Cameron Polson. For more information call 323.7653 and make an appointment for your Holiday Hair.